One of the most important items of plumbing in your bathroom is the toilet. Whether your toilet is a color now out of fashion, or is simply not working, repairs or even a new toilet may be in your future. Many people try fix or install on their own and end up paying more in the long run for simple mistakes they make. 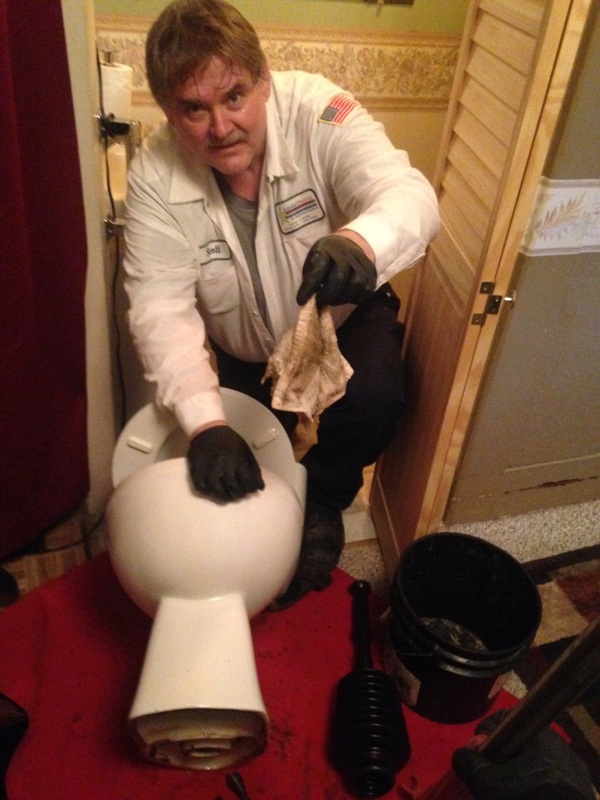 We at AmeriServe “The Reliable Plumber” are here to help you with any problems you have with your toilet. When looking into repairing or replacing it is important to note exactly what the issue is with the toilet. Simple fixes can be made to instantly improve toilet function; however surface problems may lead to bigger problems down the road. Having a certified professional plumbing contractor come out and examine your toilet properly will provide the experience, knowledge and technology to help accurately spot and solve any problems you are having. Hiring a professional to do job for you can put your mind and back at ease. Leaks and other problems you experience with your toilet can create unsafe and unsanitary conditions in your home. Water can seep into floors and walls, ruining floors and encouraging mold growth. Leaks, depending on where they are coming from, can cause health problems with bacteria that was once contained in the plumbing coming into contact with your living surfaces. Some of these problems are easy fixes that we can fix with our quality parts and equipment. Others, like deep cracks and multiple problems, require the removal of the old and installation of a new unit. Even if you aren’t experiencing some of these problems, you may still wish to install a new toilet for cosmetic reasons. Choosing a contractor with guarantees like ours will ensure your satisfaction with any work or installation done. Doing your own toilet install, or using an unlicensed contractor may lead to increased costs and problems down the road. Only you will be responsible if anything goes wrong with your installation. Knowing your problems can be fixed in the same day they are spotted, handled by experienced contractors, with fair pricing and guaranteed work can put your problems and worries to rest for good. Call us anytime by dialing (610) 365-2337..